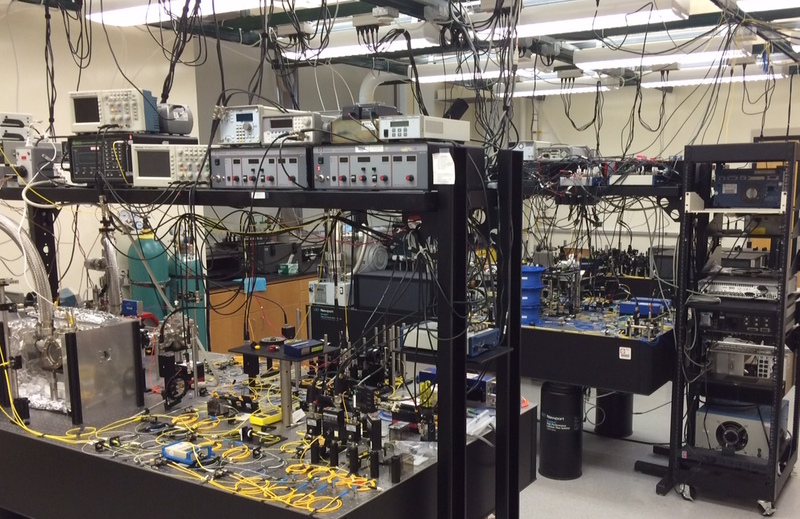 Research in the UMBC Physics Department is centered in 4 main areas: Astrophysics, Atmospheric Physics, Condensed Matter Physics, and Quantum Optics and Quantum Information Science. Tenure-track faculty members, research faculty, research scientists, post-docs, and graduate students are actively engaged in both experimental and theoretical research in all of these areas. Summary information about the 4 main research areas can be found in the links above, while detailed information about the research specialties of our individual faculty members can be found in the Faculty Bio’s. Our research is primarily conducted in the new 78,000 square-foot Physics Building (built in 1999), which houses numerous laboratories, researcher office space, computational facilities, and shared major facilities including the nano-imaging facility (NIF), physics machine shop, and observational telescope. The Physics Department also hosts 3 large interdisciplinary collaborative Research Centers: The Center for Space Science and Technology (CSST), the Center for Advanced Studies in Photonics Research (CASPR), and the Joint Center for Earth System Technology (JCET). We also have a very vibrant program of Undergraduate Research, and several of our faculty members are also involved in research on Physics Education.